When you need to get off the beaten path this spring, head for San Angelo. Nestled on the banks of the beautiful Concho River, this West Texas oasis serves up an endless amount of ways to soak up the sunshine, take in the history, and enjoy the western charm. Home to the fourth Conrad Hilton Hotel (the Cactus Hotel, today an iconic wedding and special events venue), an array of restaurants serving international cuisine, a thriving arts scene, and the award-winning Concho River Walk, recently voted a Best Place in America, San Angelo is a city with a culture and spirit all its own. If you’re looking for your next springtime getaway, you should plan a trip out to San Angelo. Read on to find out more. Spring is a fantastic time of year to get outdoors. 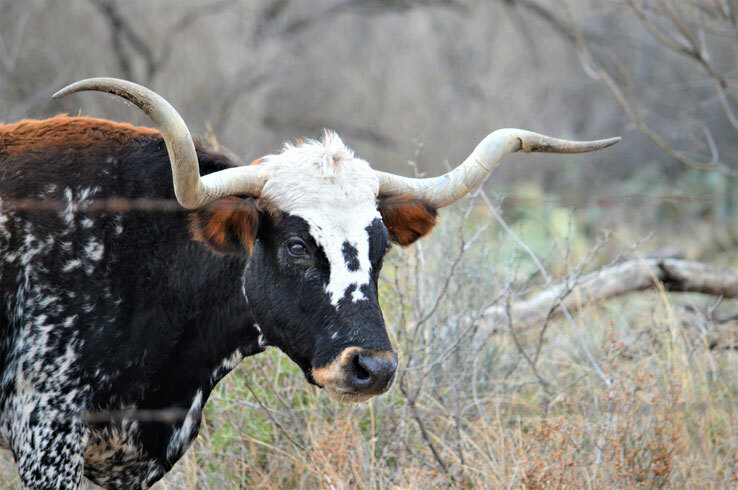 There are few better places to do just that than at San Angelo State Park, one of the homes of the Official Texas State Longhorn Herd. Hike, bike, or ride horseback on remote trails that wind over gently sloping High Plains hills and through peaceful grasslands dotted with cactuses and mesquite trees. Keep a keen eye and you just might spot bison, deer, longhorns, javelinas, and some of the more than 350 species of birds commonly seen here. Explore the park and check out the American Indian rock art and ancient animal tracks before trying your luck at hooking a few fish in Javelina Pond. With so much to see and do, you’ll need several days to wander through San Angelo State Park. Fortunately, there’s a range of campsites and cabins you can rent if you want to sleep under the stars. The blooming flowers of spring define the season, but they’re an even bigger deal in San Angelo. It’s here that you can see one of the most comprehensive collections of waterlilies in the world, the International Waterlily Collection. Admire the blue, pink, purple, white, and yellow flowers from around the globe in Civic League Park, located on the western bank of the Concho River a few blocks from downtown San Angelo. 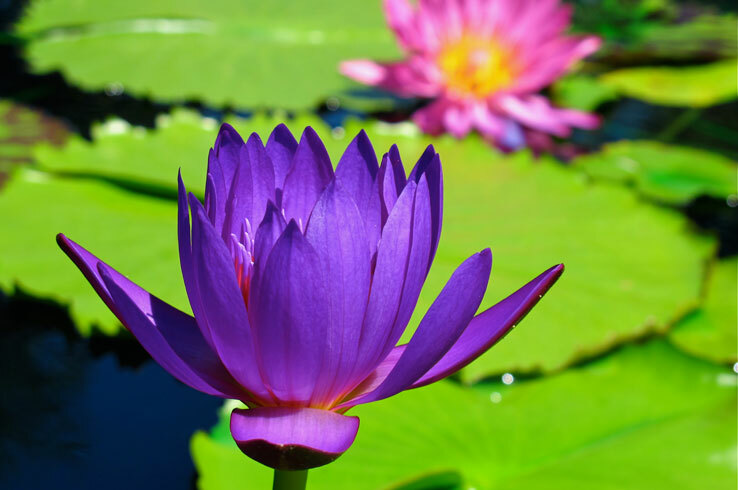 While it may change year to year, the best time to visit the waterlily collection is from May through November. Bring your camera for some shots you’ll be proud to share on your Instagram and enjoy a quiet stroll in one of Texas’ most unique attractions in the Lone Star State. All that pleasant springtime weather is worth enjoying, and you don’t have to venture too far from downtown San Angelo to do so. The Concho River Walk is a four-mile pathway along the Concho River that offers scenic views and access to all sorts of adventures. Work up a sweat as you jog on the winding concrete trail or take your time to admire the scenery. Breathe in all that fresh spring air as you scope out the gardens, water displays, and outdoor art along the way. Don’t miss out on a visit to The Bosque, where you can play a friendly game of putt-putt golf, sand volleyball, or bocce ball. Want to spend some time on the river? Rent a paddle boat from The Bosque and float to your heart’s content. If you’ve ever wondered where the West was won, it was at Fort Concho. The fort was established in 1867 to protect frontier settlements and map out unexplored areas of West Texas. At its peak, it consisted of 40 buildings that housed up to 500 military personnel, including regiments of the legendary Buffalo Soldiers. Twenty three original and restored structures remain, some of which are furnished with authentic and replica furnishings and equipment that take you back to the late 1800’s. Enjoy the spring sunshine as you wander from one building to another and learn about the fort’s history and the people who served here. 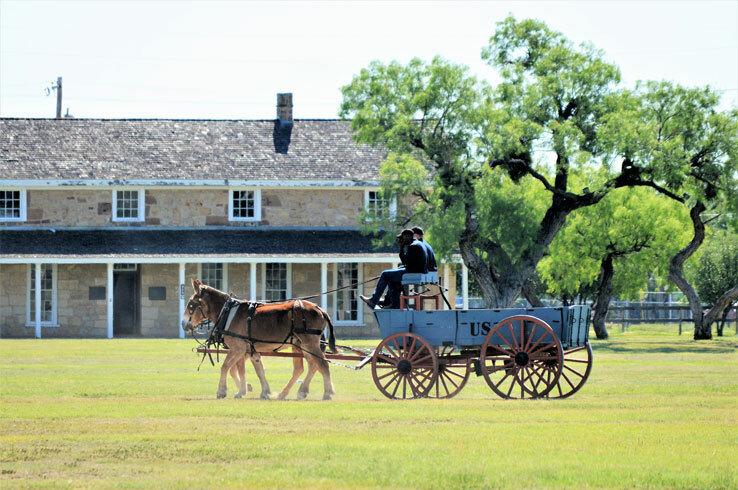 To get the most out of your visit to Fort Concho, go on one of the guided tours chaperoned by a knowledgeable guide. Both entertaining and informative, these 90-minute tours cover the history of the site and the cultural clashes between the natives and settlers to the area. Self-guided tours are available too, if you prefer to move at your own pace. Deep in the pristine waters of the Concho River, you can find a gemstone unlike any other in the world. 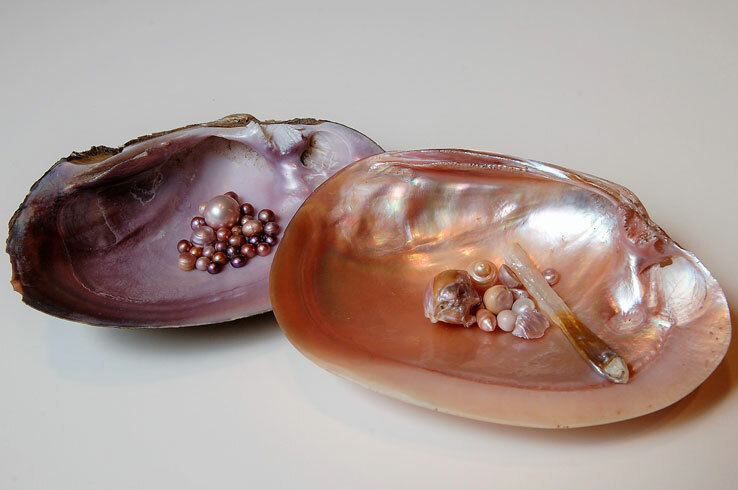 Ranging from light pink to a dark purple, the Concho Pearl is rare, beautiful, and uniquely West Texan. In fact, the San Angelo area is one of the few places on Earth that produces natural pearls. Fortunately, you don’t have to go far to see them. Head to the Concho River Walk, in front of the San Angelo Museum of Fine Arts, and you’ll find a sculpture of a mermaid holding a pearl. There are also several jewelry shops, such as Legend Jewelers, where you can do some next-level souvenir shopping for rings, earrings, and more made with Concho Pearls. While you’re in downtown San Angelo, make time for another San Angelo legend: M.L. Leddy’s. Purveyors of some of the finest handcrafted cowboy boots in the Lone Star State, this is the kind of place you go to kick your Western wardrobe up a notch or two. Shop the collection of distinctive boots, leather goods, and impressive belt buckles, then go on a behind-the-scenes tour to see how cowboy boots are made. You can even order a custom pair of boots while you’re there. Of course, all of this is just a taste of what San Angelo has to offer. 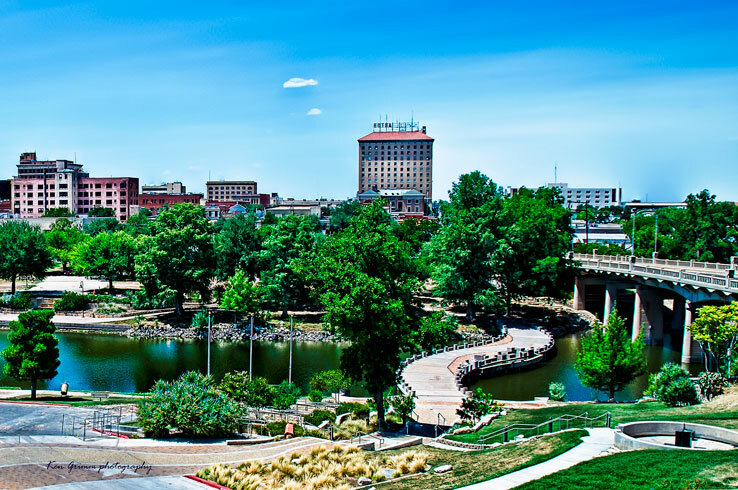 Click here to find out more about why you should discover San Angelo.